Secure data wiper is an advanced security tool which permanently removes confidential data from your hard drive and removable media drives to maintain the computer privacy. When you delete files or folders, it goes to recycle bin or trash. Emptying recycle bin does not delete it. The file's name is removed from the disk's index, but the data still remains on the disk. Software ensures total file unrecoverable elimination by wiping files and used/unused disk space using various disk erasing algorithms. 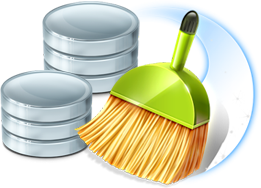 Software removes all deleted files and folders, delete records of your off and online internet activities, such as History folders, Cookies, typed URL, cache internet files and eliminate passwords, recently deleted documents list etc. Select your partition disk to erase files or format entire drive. Set your disks erasing algorithm among Zero fill, Pseudo Random and others as shown in above screen and click on apply button. 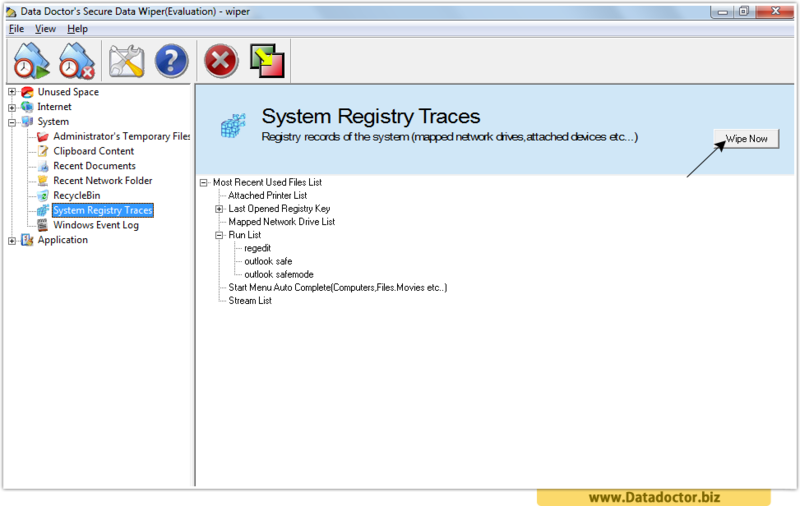 Go to System Registry records and click on Wipe Now button. Copyright(C) DataDoctor.Biz . All Rights Reserved.